VoiceFoundry happily assisted the American Red Cross and Amazon Web Services during the disastrous Hurricane Harvey. Because of the scale of the damage and the limited amount of available assistance, The Red Cross, as large an organization as they are, had to call in for back up. 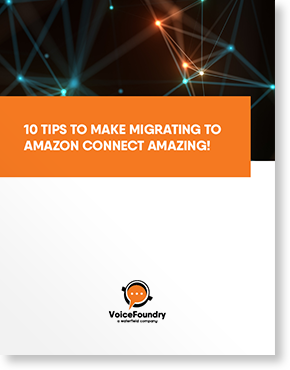 They engaged us, VoiceFoundry, to implement Amazon Connect and provide a self-service, cloud based contact center. Within 48 hours, the new call center was up and running, and heroes were being connected to people in need from three hurricanes that had developed by that time. Continue reading about how The Red Cross, AWS, and VoiceFoundry all played a vital role in this execution.